A group of 3 year-olds graze on the open space at 901 Butterfield Highway. 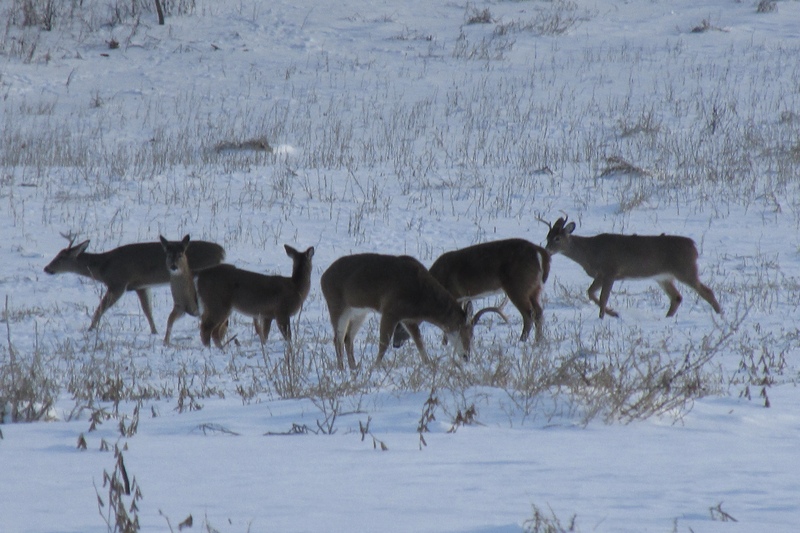 Driving down Butterfield last week we spied a herd of deer grazing in the snowy, white expanse of a field cleared in 2016. 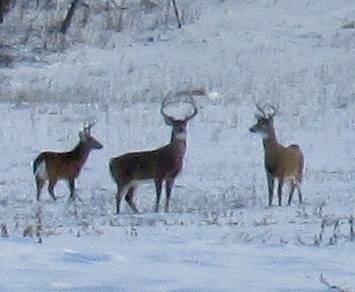 Among them were at least 4 bucks, with 3-point antlers. Around 2-1/2 years old. 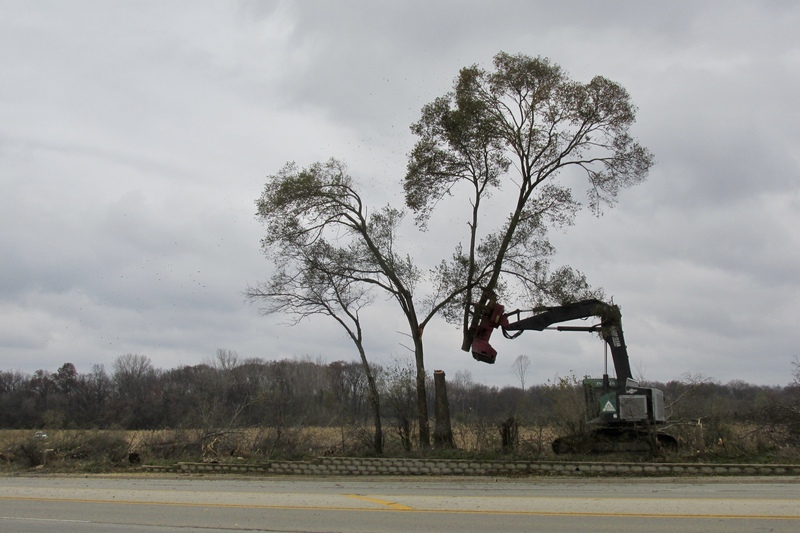 They would have been newly born in the spring before the Archdiocese of Chicago cut down 33 acres of sheltering trees on this scenic, colorful piece of woodlot on the west side of Libertyville. 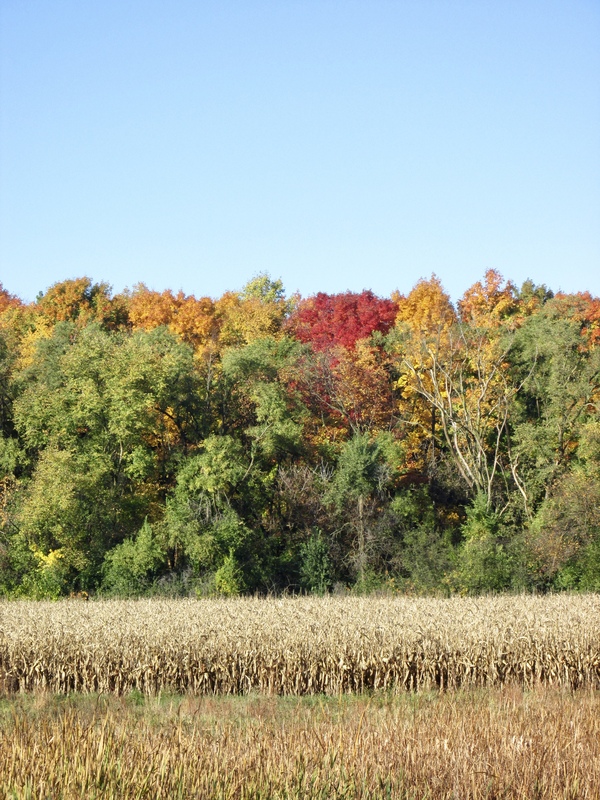 The once colorful woodlot was viewed by more than 20,000 motorists every day. We might ask the same question ourselves. 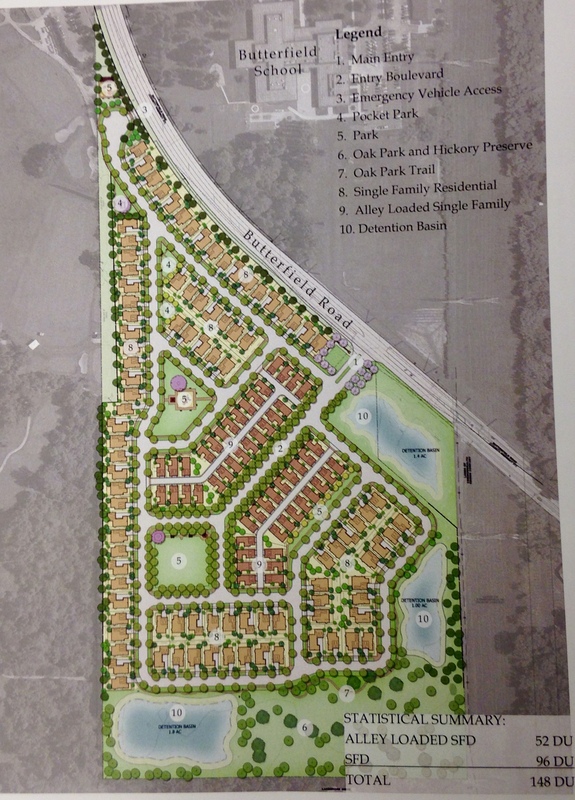 Cluster Housing: 148 homes planned for construction on 15.2 acres of land. 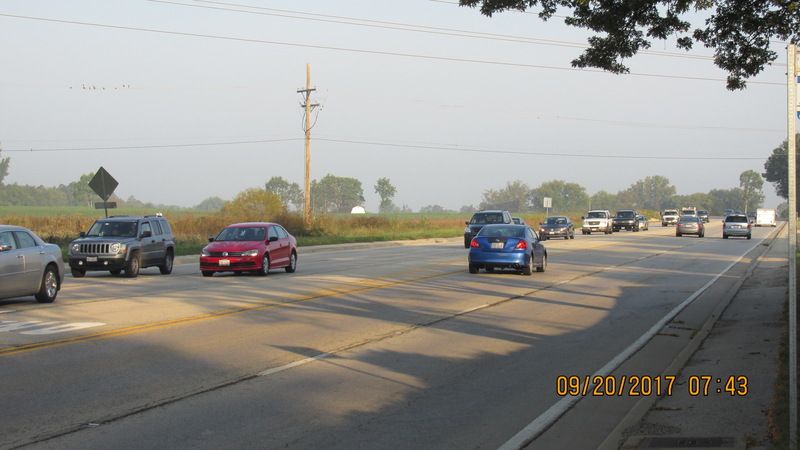 Back in August 2016, the Village announced an open meeting of the Plan Commission to present a housing development proposal to occupy a 40-acre lot owned by the Archdiocese of Chicago. The developer, it is now learned, had bid $15 million to buy the land for the purpose of installing 148 ‘cluster homes’ on the lot, plus two detention ponds and roads. 7 acres of woods would offer a treed park for walks. The open meeting attracted over 100 residents who voiced their concerns and asked pointed questions that set the commission, and the developer, back on their heels. The meeting adjourned with a promise of refinements, and for a follow up, which was scheduled in January, 2017. An astounding disregard for optics, and the local parish. The machines made fast work of the Church’s order. Then, in November, just before Thanksgiving, with an astounding disregard for optics, and an unconscionable dismissal of its local parish, the Church decided to spring into action. 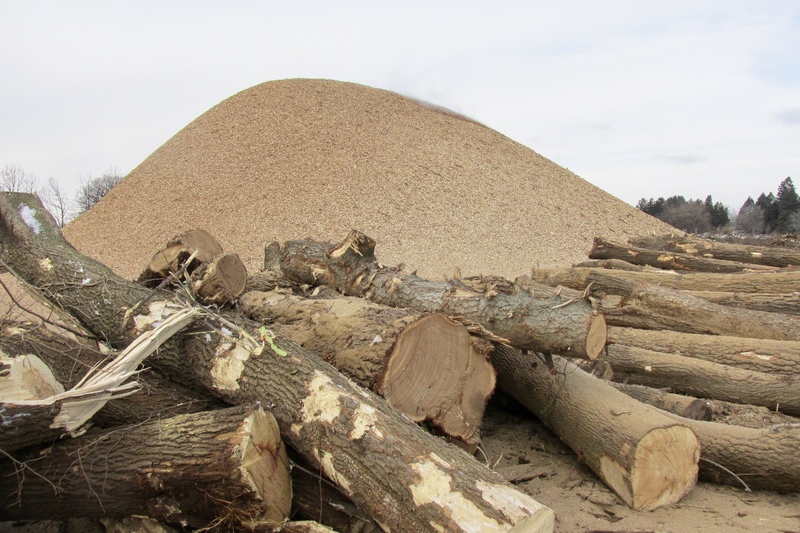 After receiving approval from the Village, it cut down 33 acres of mature trees which grew on the development site. The sheer sight of the woods coming down, so swiftly, leaving a naked field behind, shocked many in Lake County. 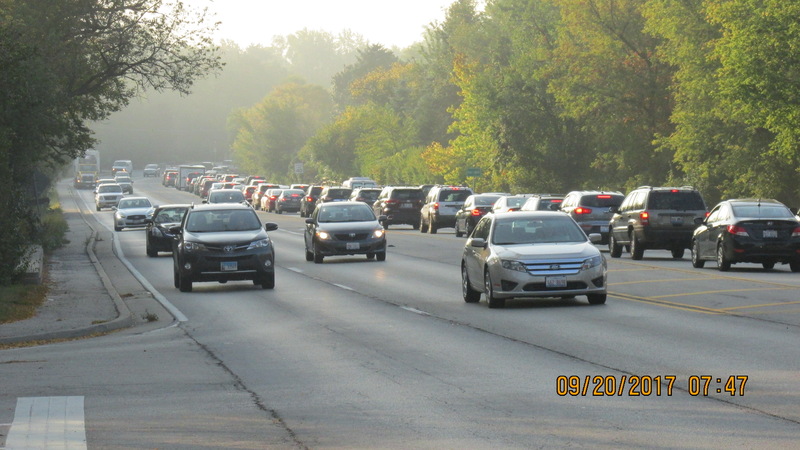 More than 20,000 drivers passed the scenic woods every day. By January, the development had surfaced all sorts of debate and before long, it became clear that the residents were pushing back. Their concerns ranged from traffic to congestion, from design to pollution. Ripping out the woods was the final straw. A summary of 19 specific concerns were circulated, and became talking points for review. Looking north on Butterfield Highway, homeowners will enter and exit just left of the power line pole. The Village Board became closely aware of the situation, and received a final proposal from the Plan Commission to halt the development. In a special March 2017 meeting, held at the high school auditorium, the Board of Trustees voted unanimously against the development as proposed. The pivotal issue was traffic congestion and safety. Looking south on Butterfield, the commuters’ treks just begin. It could have ended there, but a dose of reality was dispensed. Libertyville had just killed the Church’s $15 million dollar deal, and the Archdiocese, reputedly in search of cash, was miffed. In June of 2017, the Catholic Bishop of Chicago filed a suit against the Village for its “capricious, arbitrary decision” which denied the Church its constitutional rights to sell the land. And so, it ended up in court. The trial commenced in November 2018, and concluded December 7. The judge was buried under boxes of memoranda, reports and legal papers along with 10 days of procedural testimony. The sole subject: traffic safety. Nevertheless, he offered a decision perhaps as early of January 31, 2019. 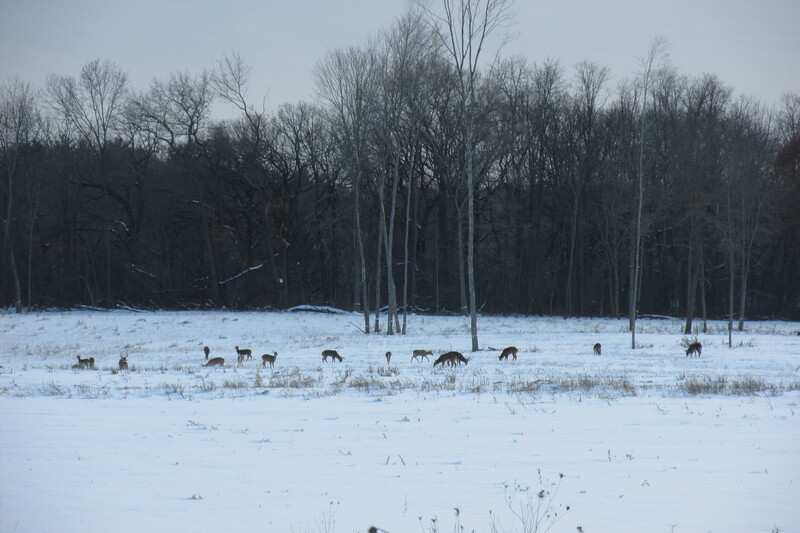 A portion of the 28 white tail deer that grazed on January 20, 2019. Not a coyote in sight. We wait. But back to the deer. Where do they go? Ironically, their numbers swelled because the coyotes lost their homes in the woods. But what now? 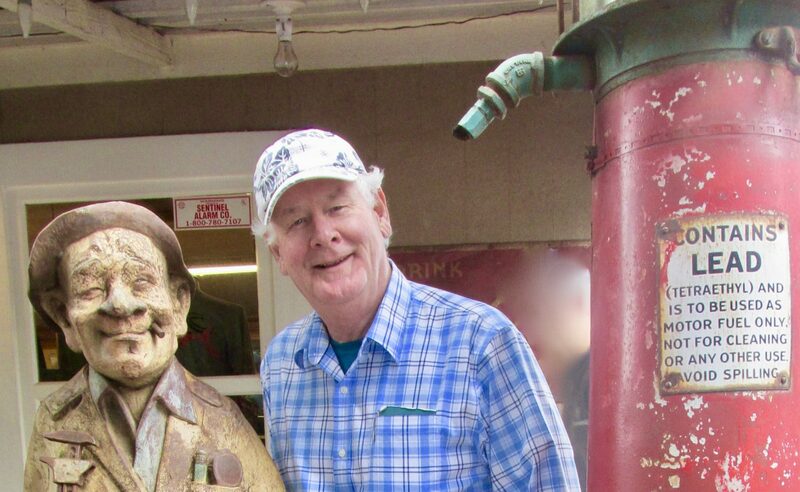 Three bucks in a quandary: where to now? It’s all sobering to think about. We wait for the judge to announce his decision.